Wow – this is stunning. I have that stamp and I haven’t inked it up yet…. you have just given me the inspiration. Thanks. Gosh! Meghan, this is some seriously stunning card! 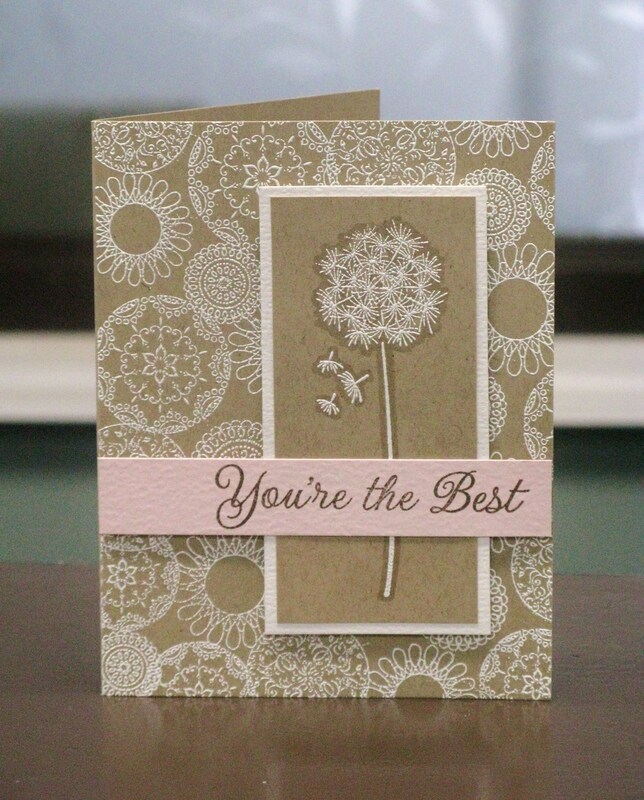 I love absolutely everything on it, the embossing, the shading, the sentiment on the pink strip… perfect! Thanks so much for being part of Cath’s Blog Hop! gorgeous card, Meghan~love the white stamping on kraft! Pretty! I love making cards on craft card stock. Your card is really beautiful! Such a soft and pretty card! White on kraft is scrummy! Simply lovely! Kraft and white can’t be beat with a texture design! Meghan – this is STUNNING! Wonderful color combo and gorgeous detail! Your card is beautiful. Love the color combo. Oh my goodness, Meghan! This card is drop-dead gorgeous! Thank you so much for thinking of me! I can’t express how blessed I feel to have such kind and generous friends! I love your card for Cath – gorgeous colours!